Aaron Jacobs’ love for music has run deep through his soul since he first heard his parents records. Growing up, he couldn’t stop discovering a vast array of musical greats spanning the genres. 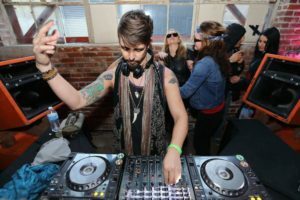 As a DJ, Aaron has dabbled in hip-hop, drum n bass, breaks, tech house, deep house, techno, and anything with a bouncy minimal groove to dance to. His sets always stand apart from others with his eclectic selections and his ability to transition from one mood to the other like butter. An underground gem who manages Wülfpack with a lovable pack in Los Angeles. You can catch him out playing or partying any given weekend.